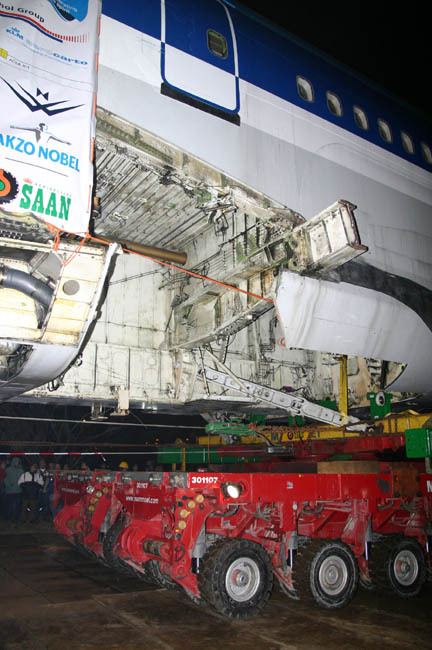 The Boeing 747 has a lot of wheels from itself but for this transport PH-BUK "Louis Bleriot" gained a few more. 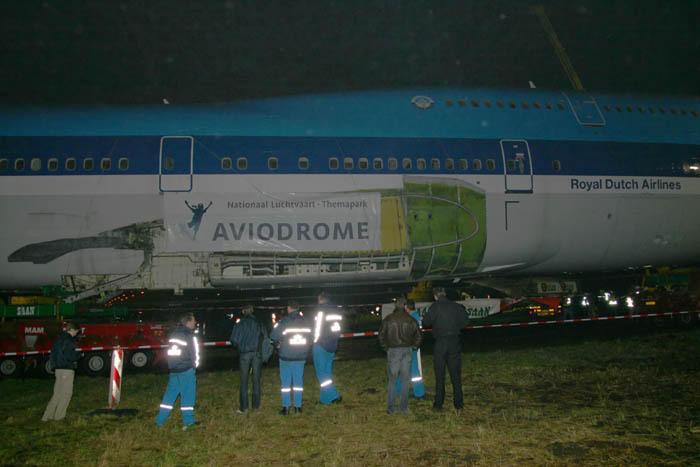 While KLM did provide some services, most of the work was done by Aviodrome's volunteer workforce (some have worked or still work for KLM). The wings and the tailfin have been removed, in itself an awesome job. 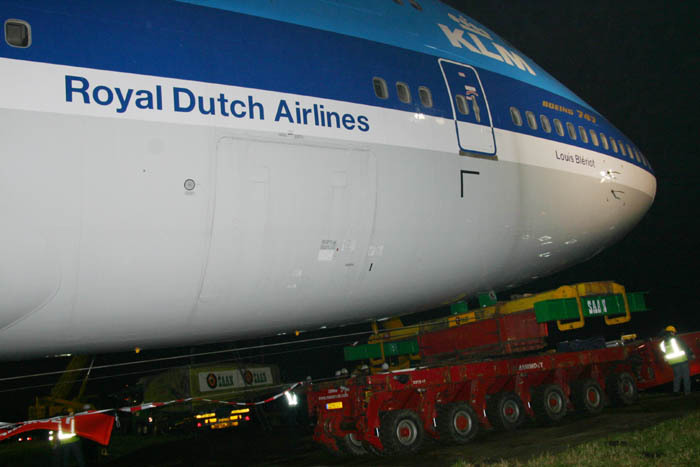 Never did a Boeing 747 pass a lamppost so close...!! 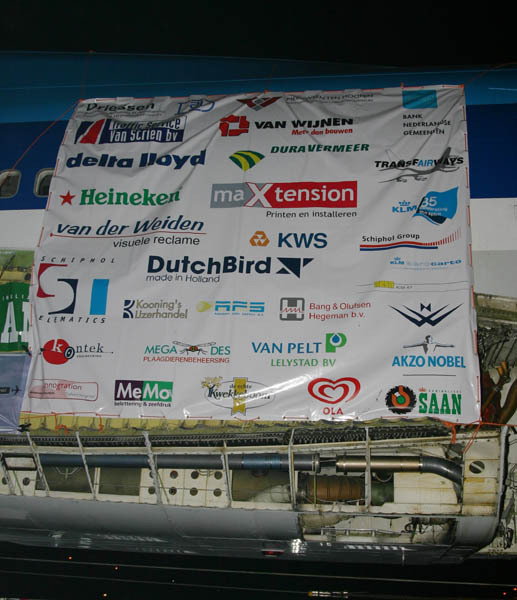 Numerous sponsors cooperate in the preservation of this Boeing 747 (the transport is just a start !). The growth of the Aviodrome the past year has been impressive, but organisations like these largely depend on contributions from sponsors (large and small). I therefor invite you to follow the link below this page to check at the Aviodrome website and see how you can help. Transport was done by Koninklijke Saan BV, which received the ESTA Transport of the Year Award (Cat.B, heaviest category) for this job, from the European Association of Heavy Haulage, Transport and Mobile Cranes. 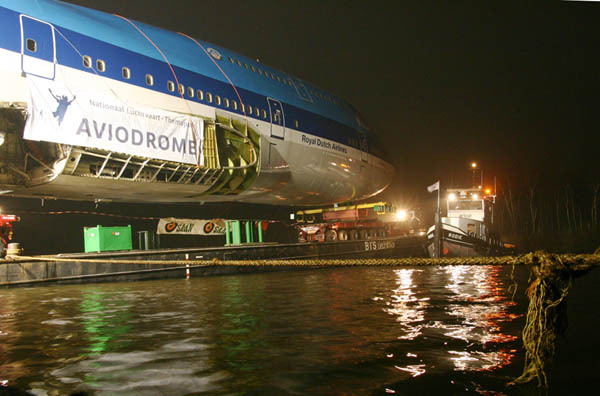 And there she is: a Boeing 747 on a ship ! In a few days she would arrive at Lelystad where she is to be made 'whole' again. 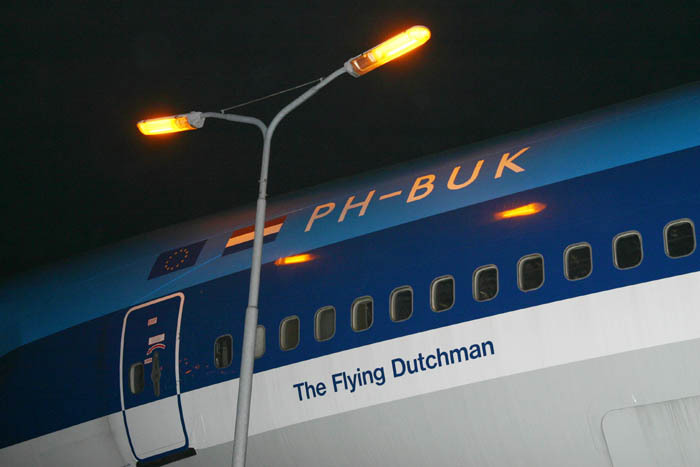 PH-BUK 747-200B (c/n 21549, line number 336) was manufactured and delivered to KLM in 1978. It operated in a "combi" configuration, a combination of passenger and cargo configuration. It was modified to a -300 "stretched upper deck" configuration. 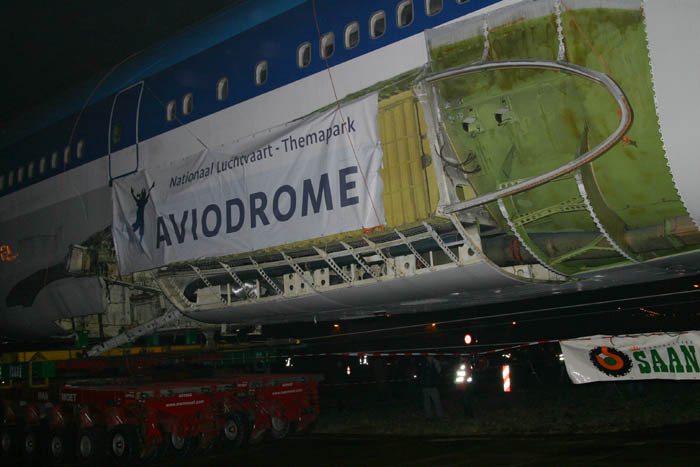 The Aviodrome was able to purchase it from KLM for a symbolic 1 Euro, contributing to the Aviodrome's honorable cause to preserve this Boeing 747 for future generations viewing pleasure. The transport was completed on Dec.18th.